Welcome to South Texas College - a premier and world-class institution of higher education serving the students of Hidalgo and Starr Counties! 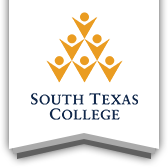 I am extremely proud of our students, faculty, and staff, and I am convinced that you will see why as you learn more about South Texas College and the over 100 degree and certificate programs available to you. As Vice President for Academic Affairs and Chief Academic Officer, I fervently believe that this is a most exciting time for South Texas College. Given our dedication to our region's prosperity, stewardship of our public's trust, the dedication of our faculty, and the vibrant student body, we can continue to transform lives for the betterment of our community.